Do I really need a wedding planner? Here are 8 reasons you do. A wedding planner can be an invaluable addition to the planning process. They can save you time, money and a lot of stress. My venue provides a coordinator. I can do all of the planning myself. These are just a few of the phrases that I’ve heard from brides that opt to not get a planner. Can you do and handle all of the planning yourself? Probably; if you have the time. Will the outcome and your experience be the same? No. It’s a wedding planner’s job to keep you on track. They will tell you what you need to be doing when, specifically for your wedding. The peace of mind alone in this is significant. You don’t have to worry or wonder what you should do next, or if you’re forgetting something. You can enjoy wedding planning and simply do the tasks you’re asked as you are prompted to do them. It’s really that simple! Weddings are expensive. Whether your budget is $20,000 or $200,000, the numbers need to be managed by someone. Your wedding planner can advise you to make decisions that stay in line with your budget, and they can let you know how decisions can affect the bottom line. Speaking of budgets, a wedding planner can actually save you money! They will advise you on where your money is best spent, and what’s truly “worth it”. They know who has the best options at the best price point. Wedding planners know what things should cost in their area. They can advise you on what you actually need and help you save on things you don’t. For example, I’ve had clients book my services after they have already hired their photographer. In numerous cases the client contracted the photographer for a ten hour package, and when we crafted the timeline, they only needed seven hours. I could have saved them around $1500+ in that scenario alone if they had hired me before signing a contract with a photographer. One of the biggest reasons my clients tell me they hire me is for the design aspect of the wedding. Bringing your vision to life can be extremely difficult for some brides. They know what they love on Pinterest, but the ability to execute is far above and beyond clicking “pin it”. It’s your wedding planner’s job to help you figure out your vision (if you don’t have one) and bring it to life (all within budget!). Wedding planners will help you choose the perfect color scheme, linens, charger plates, flowers, chairs, custom stationery pieces, lighting, bridesmaid dress, cake, signage, and this list goes on and on! Properly planning out the wedding day is a crucial requirement for the day to run smoothly and be stress-free. You need one person to manage the combined duties and agenda of all your vendors to ensure that everyone has the time they need to do their job the best they can. Things like getting ready: when do you need to be ready by? What time do you need to be putting your dress on? Is there padding in the timeline in case hair and make up runs behind, or if you’re missing an earring? Is there time for the special shot you wanted with your bridesmaids in their custom robes? There should be. Your planner will plan out every part of your day from start to finish to ensure that it runs smoothly. Your planner will also manage and plan the day for your vendors. What time is everyone arriving? What time can they start setting up? Your planner will take care of this! Contracts are incredibly important and a wedding planner’s familiarity with contracts is invaluable. They will ensure that every detail is correct and covered before you sign. Things go wrong. Your perfect day is not always perfect. There is not always someone readily available or equipped to save the day if something unexpected throws a wrench in your plans. It’s the wedding planner’s job to foresee an issue before it occurs, and fix them when they do. (Almost) everything is fixable. It’s just a matter of knowing how to solve the problem. Wedding planners have the experience and the calm to handle these issues for you. Owner and Head Planner of Fabulously Chic Weddings, Courtney Gabelbauer has been planning and designing weddings in Southwest Florida for nine years. 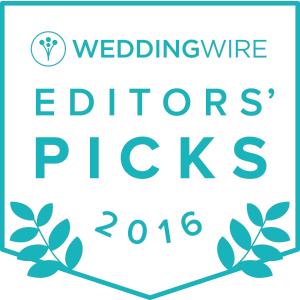 Her work has been featured in print in The Knot, The Celebration Society, Weddings Illustrated, and My Florida Wedding, and noteworthy blogs such Style Me Pretty, Every Last Detail, The Knot and MODWeddings. This entry was posted in beach wedding, casa ybel weddings, destination beach wedding, guest blogger, naples, Sanibel Island Wedding, southwest florida weddings. Bookmark the permalink.